The Nigeria Police has reacted to claims by the lawyer to billionaire kidnapper, Chukwudumeme Onwuamadike known as Evans, Olukoya Ogungbeje, that officers of the Inspector General of Police’s Intelligence Response Team have extorted money and valuables worth over N50 million from his client since his arrest. Ogungbeje in a petition filed at the Police Service Commission, also accused the officers of molesting one Amaka Offor who is Evans's girlfriend. The Police Public Relations Officer, Jimoh Moshood, in a statement released last night, said the allegations are baseless and untrue. The attention of the Nigeria Police Force has been drawn to publications in the media on 14October, 2017 that “ Evans’ lawyer accuses police of extorting over N50 million, other valuables” from his client and another report that “Police Sexually molesting Evan’s Girlfriend, Amaka Offor” credited to one Olukoya Ogungbeje . 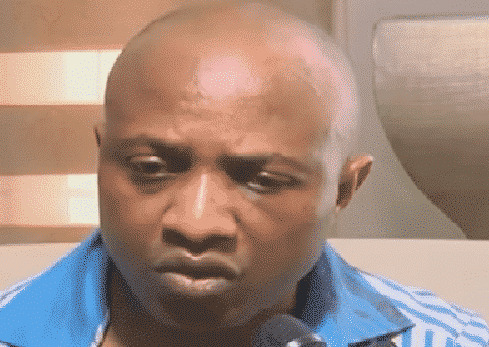 The two publications were found out to be absolute falsehood, misleading, unfounded and deliberate attempt to cast aspersion on the thorough and discrete investigation carried out by the Nigeria Police Force in all the offences committed by Chukwudumeme Onwuamadike (popularly known as Evans) who has pleaded guilty in court to multiple kidnappings, murder, armed robbery and other capital offences. Virtually all the items erroneously claimed by Olukoya Ogungbeje to have been forcefully and corruptibly extorted from his client were found out to have been exaggerated. For avoidance of doubt, all monetary exhibits and other valuable properties including houses and exotic vehicles were not extorted but recovered by the IGP Intelligence Response Team during the investigation into the several cases of kidnappings, murder, armed robbery and other capital offences linked to Chukwudumeme Onwuamadike (known as Evans) were duly registered and will be tendered in court as exhibits as the trial progresses. It is pertinent to disabuse the minds of the public who must have read the story that no police personnel within the team or anywhere else involved in the investigation of all the cases linked to Chukwudumeme Onwuamadike (popularly known as Evans) engage in any sexually molestation of the alleged Evan’s girlfriend Amaka Offor as claimed. This allegation is entirely untrue and incorrect. The Nigeria Police sees the publications as a deliberate distraction and ill motives by the billionaire kidnapper's lawyer to pervert the end of justice. He is advised to face his client’s case in court and not misleading the public. They hereby enjoined members of the public to disregard and discountenance the unfounded publications.